At ORACUL, we believe in working with professionals and academics who represent a diversity of ideas and disciplines. Meet the ORACUL team: a dedicated group from different backgrounds, united in their passion for research, education, and communication. As Executive Director of ORACUL, Brett's role is to oversee the growth of the organization, coordinate different branches of ORACUL's activities, and to make sure ORACUL communicates it's mission and endeavors to the public in new, innovative, and engaging ways. To accomplish this, Brett draws upon his extensive background in both education and the music industry, as well as his business and nonprofit experience. 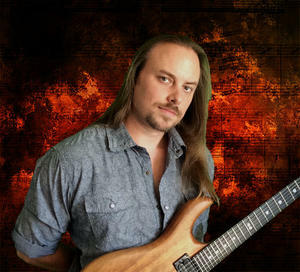 Brett is a professional guitarist and composer, and holds a degree in Classical Composition from Berklee College of Music. He authors educational books and courses for his company, Metal Guitar Academy MGA, and has held a lifelong interest in ancient history and megalithic architecture. A full-time faculty member at Boston University since 1983, ORACUL's Research Director holds a B.A. (in Anthropology) and B.S. (in Geology) from George Washington University, and an M.S., M.Phil, and Ph.D. in Geology and Geophysics from Yale University. 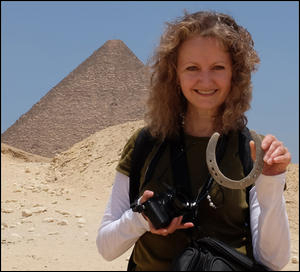 Dr. Schoch has studied ancient sites and cultures around the world, appeared on numerous radio and television shows and internet podcasts, and is the author, co-author, and/or editor of books both technical and popular. In the early 1990s, Dr. Schoch stunned the world with his revolutionary research that recast the date of the Great Sphinx of Egypt to a period thousands of years earlier than its standard attribution. Wife and professional partner of Dr. Schoch, Katie has contributed photographs, articles, book designs, and ideas to her husband's research through the years. Most notably, she connected Easter Island's previously undeciphered rongorongo script to global "plasma petroglyphs" first identified by renowned physicist Dr. Anthony Peratt of Los Alamos National Laboratory, shifting Dr. Schoch's attention toward our Sun as the probable cause of the end of the last ice age. Katie was a professional ballet and Broadway dancer for 20 years before earning a B.A. in Visual and Media Arts from Emerson College. In addition to assisting her husband and ORACUL, she maintains a teaching schedule in the Boston area, including classes at Wellesley College and elsewhere. Development Director Anthony Ruvio is a graduate of St. John's University with over ten years of experience as a Director of Continuing Education Programs in the City University of New York. Anthony's experience includes curricula development, grant applications, and the management of instructors and staff. He has directly taught courses himself, including a series of technology-based workshops with several hundred students in attendance. Anthony joined the ORACUL team in order to share his communication skill set, business acumen, and insights into academia. He's passionately interested in the mysteries surrounding the origins of civilization, and is proud to contribute to the mission of ORACUL. ORACUL is honored to work with a growing team of professionals and researchers, who generously donate their time to our Board of Advisors. Brennan is a professional archaeologist with a concentration in underwater archaeology and artifact conservation. He earned his M.A. in Anthropology from Texas A&M University‘s Nautical Archaeology Program, and his B.A. in Archaeological Studies from the University of Texas in Austin. He has traveled and worked extensively throughout the United States, Central America, Europe, and Asia, including underwater excavations of Roman and Phoenician shipwrecks off the coast of Spain and work at a Late Bronze Age site in the northeast Peloponnese. 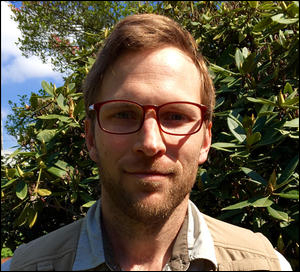 Most recently, Mr. Bajdek has conducted excavations at one of the oldest pre-contact sites in the Pacific Northwest, dating to 11,000 years before present. 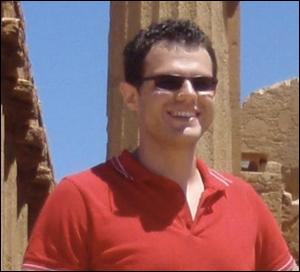 He currently resides in Portland, Oregon, where he works for a private archaeological consulting firm. Brennan also serves as the Chief Conservator for the Maritime Archaeological Society. Joscelyn was trained as a musicologist at Cambridge and Cornell Universities. His secondary interest in esoteric traditions has produced over 30 books, written, edited, and translated. These include Arktos: the Polar Myth in Science, Symbolism and Nazi Survival (translated into six languages) and Atlantis and the Cycles of Time (which linked studies of myths of human origins and their presence in occult movements). 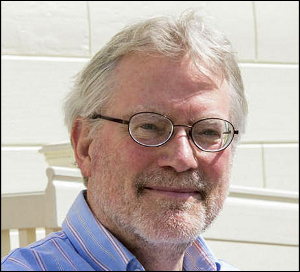 He served on the faculty of Colgate University from 1971 to 2016. His courses included “The Atlantis Debate,” a scientific examination of claims of high culture in prehistoric times, and “Rejected Knowledge,” which treated topics such as anomalous (“Fortean”) phenomena and parapsychology. In his teaching and writing, Godwin does not aim to solve these enigmas, but to provide the data and background for a free and un-dogmatic approach. 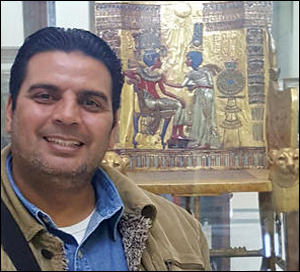 Mohamed is an Egyptologist, Khemitologist, Hieroglyphics Expert and Tour Guide residing in Egypt. Inspired by a passionate desire to share his wisdom, Mohamed offers a wide spectrum of knowledge regarding the history, arts, literature, and culture of the ancient Egyptians. Mohamed was born in Memphis, Egypt and studied Ancient Egyptian, Coptic, and Islamic Art and History at Helwan University in Cairo. He has been working as a tour guide and a teacher of Hieroglyphics since 2000. Mohamed’s comprehensive knowledge of Ancient Egypt, along with his background in comparative religions and spiritual studies has enabled him to fill lecture halls and conduct a variety of successful tours over the years. When he is not on tour, Mohamed frequently lectures on Egyptian mythology ‐ its spiritual aspects in Egyptian art, and the Ancient Egyptian concept of Gods and Goddesses.